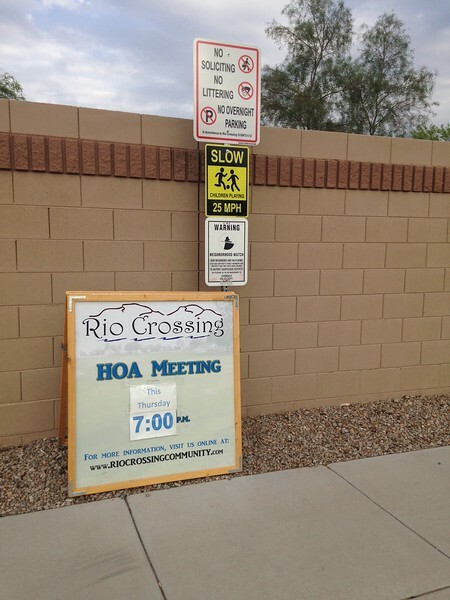 After getting home this morning, I loaded the HOA Meeting signs into the back of my truck and headed out to the two entrances to set them up. Here's the one at the Campbell entrance. Afterward, I drove to the green belt at the corner of 123rd and Highland, and started walking through the green belts and property along El Mirage. Mostly, I was looking for the tree stumps left from last week's cleanup by Somerset Landscaping, our landscape contractor. Tree stump and some excess irrigation runoff nearby, at the wall adjoining Wigwam Creek. 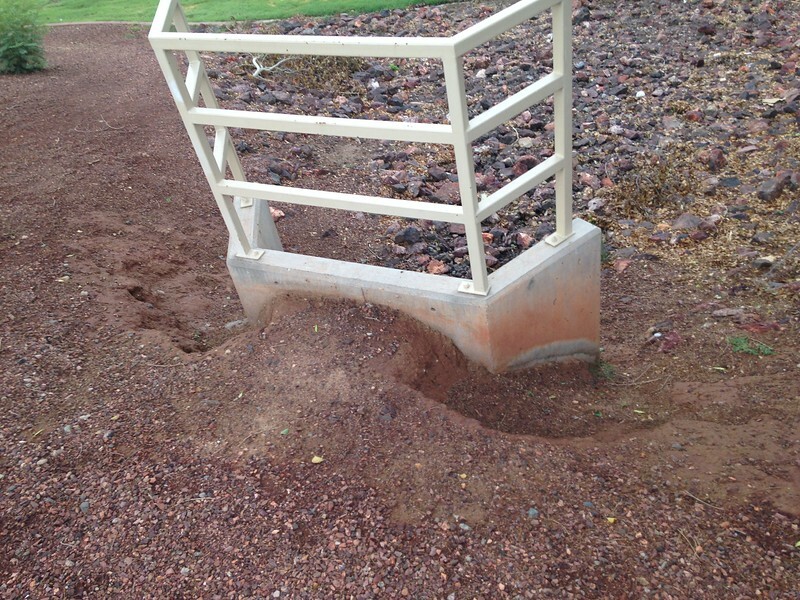 Serious erosion at the retaining wall. 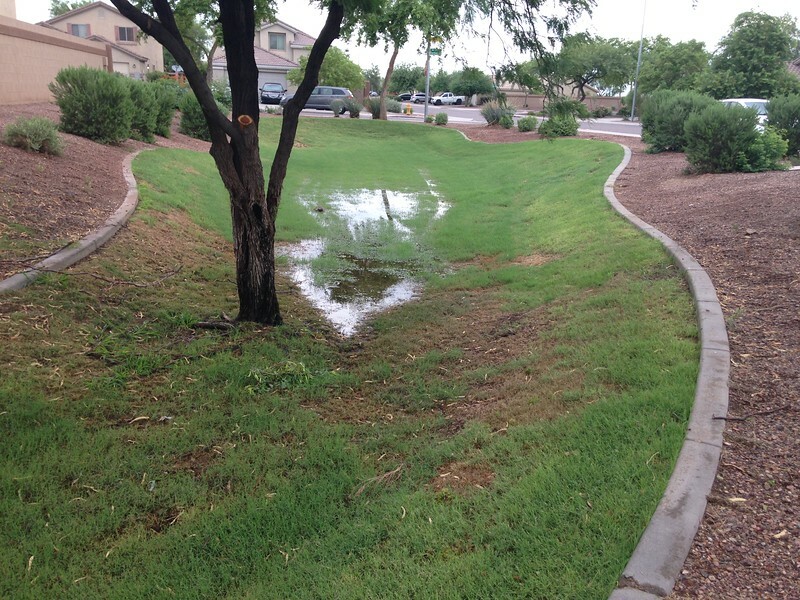 This flows into the green belt that borders El Mirage near the corner of 123rd and Devonshire. 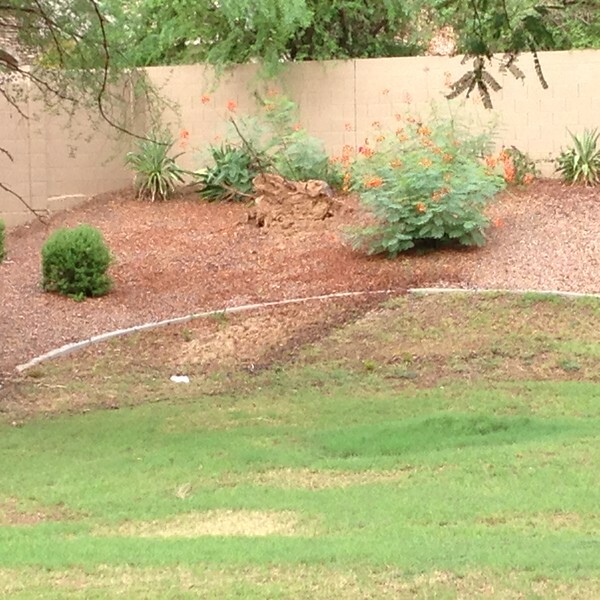 There were also a lot of areas where the irrigation system needs some repair. My personal opinion is that our water bill could be reduced by 25% or more if all of the leaks were fixed. Water pooling near the tree. There's a drywell just visible at the other end of the green belt (near the right limb of the tree). This water should flow to the drywell cover.